The numbers are pretty sad. My output is about half of what it was last year, and nearly all of the garments were fairly simple makes. I never finished the figure dress I sewed for nationals (the stoning is as of yet incomplete), though I hope to get it done for some local events in the coming season. 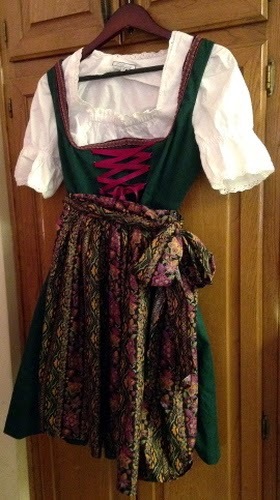 I also never managed to photograph the white dance test dress I made. I really need to do that sometime… Granted, my post-nationals melt-down didn’t help any, and I hate to say I feel as though I’m barely recovering from it just now. On top of that, though I haven’t really discussed it much on the blog – I’ve been dealing with a fair bit of inflammation from auto-immune flare-ups, which in turn has led to a not insubstantial amount of weight gain. 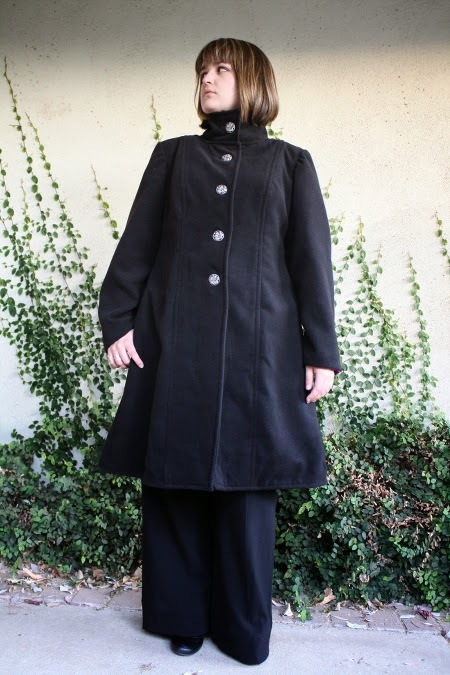 I can still mostly fit into my sewn garments, but they just aren’t as comfortable as they used to be, which doesn’t give me much motivation to sew more using my already tested and altered patterns. I was feeling fantastic at the start of the year when I was living fully AIP (auto-immune protocol), and I think I really need to get back to that strict structure for at least 1-2 months, force myself to have a realistic bed-time, and re-introduce foods more slowly this year, because the food-reactive inflammation is definitely back and it isn’t fun. 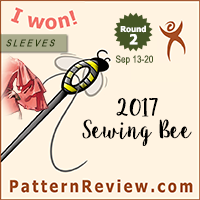 I didn’t intend for this post to turn into a discussion of health issues, and how weight impacts sewing – though you are free to discuss this in the comments – I’m just saying it has been a harder year than I imagined it would be, I haven’t been feeling fantastic lately, and it has definitely impacted my desire to sew. Anyway, these are things to deal with looking forward, but this post was really supposed to be about looking back at the past year. While last year’s run down of my top projects were mostly all images of me, this year nearly all of my favorites were created for other people. It was a costume I had originally planned to use only for testing or as a nice practice dress, but everyone was very complimentary, and it has ended up being one of my favorite skating costumes, ever. It is super comfortable, and I think it has a nice impact on the floor. Between this dress and my peacock dress from last year, I think I am definitely finding a signature style for myself. I don’t want my costumes to be repetitive, but, well, don’t mess with what’s working for you, right? 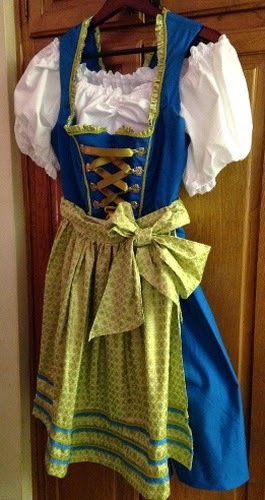 When I got asked to make two sets of dirndls for Oktoberfest (in Germany!) the Burda fan-girl in me was super excited. It was a lot of work, but I was also very pleased with the outcome! 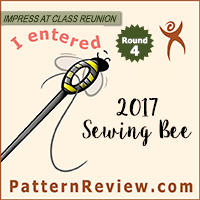 It was super fun to sew something so out of the ordinary, and I have to say I was pretty pleased with my ability to please two different clients – both in terms of fit and style. 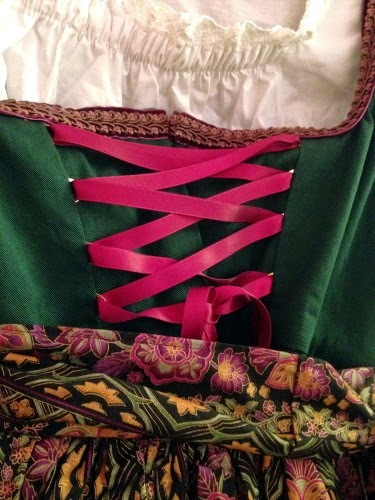 It totally makes me want to sew more non-skating costume pieces in the future! And, umm, yeah. That’s about it. Not nearly as epic a run-down as last year, but, well, I still managed to turn out a few pieces that I really liked this year. Was this year everything I wanted it to be? Well, no. Not even close, really. Did I learn a lot about myself and how I want sewing to fit into my life? Yeah, I think I did. Is this going to help me make informed decisions for the future? I hope so. 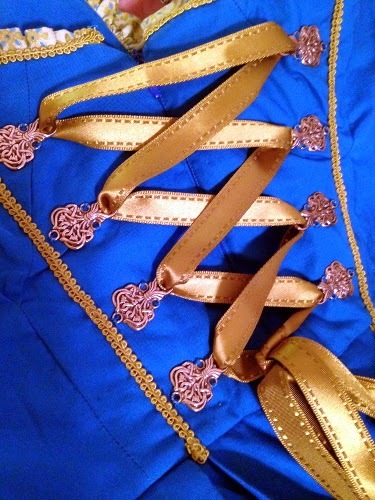 For now, I just have to get through the massive pile of costume projects I have built up. After that… Well, we shall see. I LOVE your skating dress! Hoping you are feeling less overwhelmed now, running a business is incredibly stressful as well as rewarding. Getting back the joy of sewing may take a while. Wishing you well for 2015!